Today I want to talk about the I Heart Makeup Chocolate Love Palette. 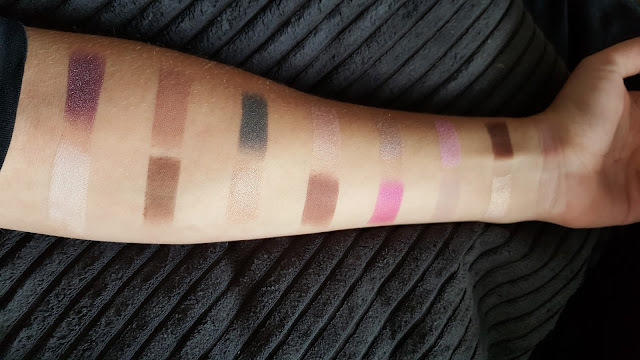 I have 2 other reviews of 6 more Chocolate Palettes from I Heart Makeup. I Heart Makeup Chocolate Pallet in Naked Chocolate & Pink Fizz - I Heart Makeup Chocolate Palette in I Heart Chocolate, Dead By Chocolate and Salted Caramel - I Heart Makeup Chocolate Palette in Golden Bar. I always loves the palettes so lets take a look if this one is nice as well. All the Chocolate Palettes have the same packaging. I think it is very cute! I Think that the Pink looks very cute as well! Here you can see the colors and the names of the shadows. 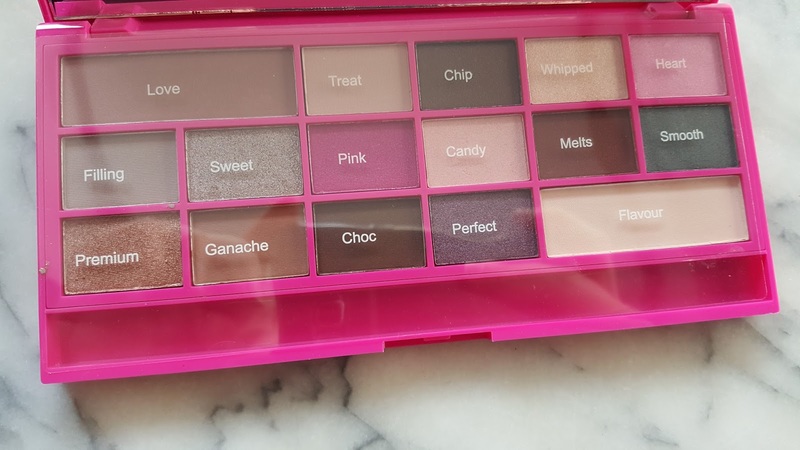 I don't like it that the shade names not on the palette it self. There are 16 shadows in this palette. 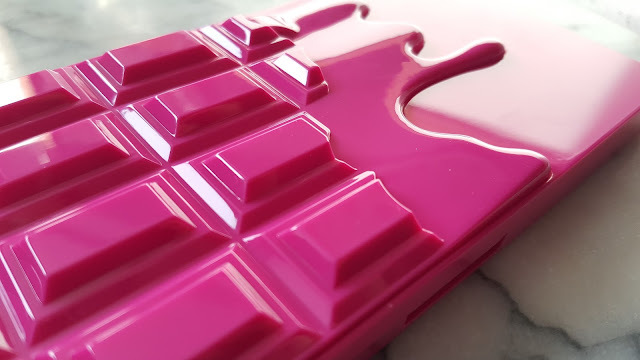 There are 7 Matte and 9 Shimmer shades in this palette. I like the colors very much. I love it that there are warm, cool and natural shades in this palette. As you can see are all the shades nice and pigmented. I like it that there are some light Matte transition shades and Matte darker shades to darken up the crease. One downside is that all the shadows from the Chocolate palettes have a weird smell. Lets try them on my eyes. 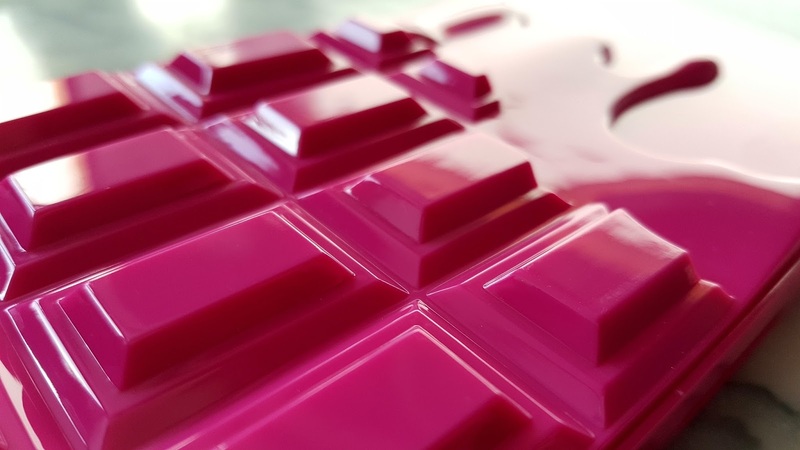 At first I used the shades Treat and Love as a transition color. The colors are nice and pigmented and they blend very nice. Then I used Ganache and Choc to darken my crease. The color blended nice and the pigment is very pretty. And at last I applied Sweet on my inner corner. 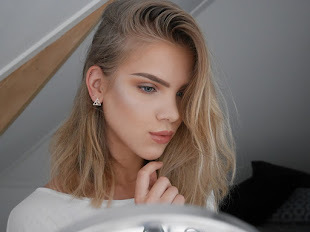 This is a very nice and strong inner corner highlight and I really like it. Than a little mascara and the look is done. I really like this palette. I like all the Chocolate Palettes from I Heart Makeup that I have. And I think that a lot of people will love them as well. They have a lot of different colors and Matte and Shimmer shades. 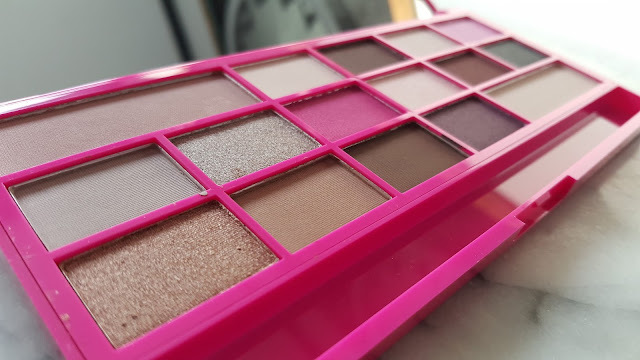 So if you are looking for a very nice and not to expensive eyeshadow palette you have to take a look at the I heart Makeup Chcolate Palettes! You can buy these beauty's from Tam Beauty.